Since the debt crisis unleashed in the euro area two years ago, all dilemmas, related to solving it (economic, political and even philosophical ones), eventually were reduced to a simple question - does Germany agree? "For nearly 70 years, Germany's grand national ambition has basically been not to have one," Henry Chu wrote in Los Angeles Times. After losing two wars, the country has focused on rehabilitating its economy. Ultimately, "the plan has been a roaring success — so much so that, in one of history's great ironies, Germany today finds itself right back where it wasn't supposed to be: dominating Europe." However, while being "the unquestioned boss amid Europe's stubborn debt crisis," Germany feels rather awkward in this position, so do the other Europeans. It has become evident as from the controversial and varying German stance on Europe, so from the expectations of others regarding Germany. The country was long accused of refusing to take a leadership role in resolving the crisis, and when Chancellor Angela Merkel rolled up her sleeves and took up the job, everyone accused her of trying to dictate to other countries. All are aware that Germany pays the bill for the eurozone rescue fund and is guarantor of stability in the eyes of the markets, so they are forced to swallow the German stubbornness on certain issues. Germany is strongly opposed to creation of eurobonds, to increase of the bailout fund or greater involvement of the European Central Bank on the debt market. 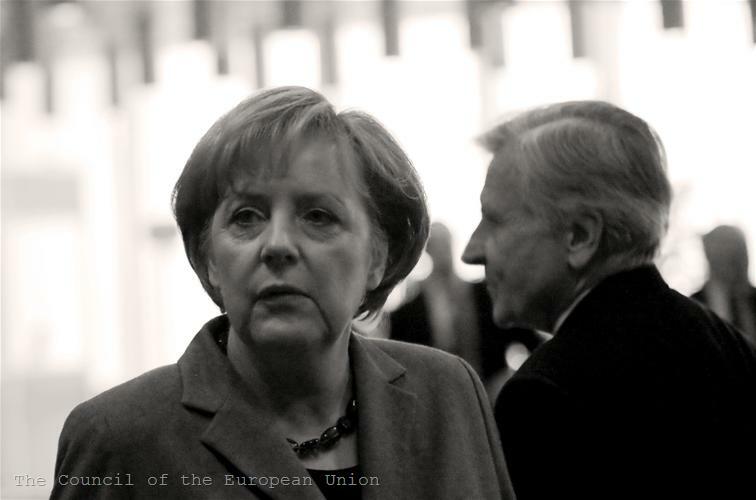 Why is the German position precisely as it is, can we expect it to change and in what direction - Sebastian Dullien and Ulrike Guerot with the European Council on Foreign Relations search for answers to these questions in their recent policy brief. What do the Germans think? The most common explanation of the reticent German attitude to the crisis is historical fear of hyperinflation, but this is not a sufficient argument, the analysts say. If we want to understand properly the German economic thinking we must take into account the influence of ‘ordoliberalism’ – the German economic concept under which the market should function freely and the only role of the state is to protect this freedom by preventing the emergence of cartels and monopolies. 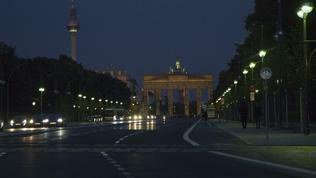 But the state should not interfere in the normal course of the economy. In case of shocks, the economy can quickly adjust, as long as there are no administrative barriers to prevent it. And if there are such, then structural reforms are needed to make the market more flexible. Until today most of the influential economists in Germany share the ideas of ordoliberalism and members of government and the central bank are being chosen from this environment. Both parties in the ruling coalition - the Christian Democratic Union of Chancellor Angela Merkel and the Free Democratic Party are most closely related to the ideology of ordoliberalism than all other parties in Germany. So it is not a surprise that the above prescription has been recommended to all "sick" economies in the euro area, though many people disagree with the German view of things. 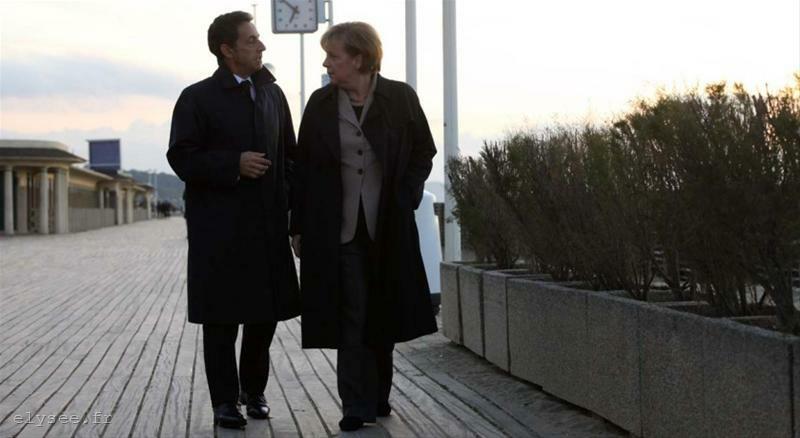 France, for example, believes in the need for coordination of economic policies in the euro area (fiscal policies, wages, social security and taxes), while Germany sees no need for coordination, as long as everyone follows the right policies. The only exception are excessive budget deficits, because ultimately they lead to a debt crisis and bailout loans. But even then, the German recipe provides for the strict application of the Stability and Growth Pact and, if necessary - new rules to control the deficit (the fiscal pact), but ultimately, everyone must fend for themselves. Or, as German politicians like to say, "to do their homework." Germany disagrees with the view that external imbalances in the euro area are a major reason for the debt crisis, as large current account surpluses in some countries (like Germany) have led to large deficits in others (such as Greece, Portugal, Spain). Berlin believes that these imbalances are a consequence of a loss of competitiveness and excessive consumption in the deficit countries. Therefore, the treatment is to cut salaries, in order to increase price competitiveness of deficit countries, and hence exports. 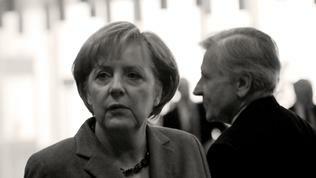 Germany does not share the popular argument that budget consolidation hinders economic growth. Instead, Berlin believes that sharp reduction of budget expenditures is favourable for debt, as the risk of future insolvency decreases, so private sector confidence and hence investment opportunities increase. Under this logic, the Germans believe that when a country does not achieve its fiscal targets, this is due to lack of political will to implement unpopular measures. The German economic mainstream explains the debt crisis in the periphery of the eurozone with the irresponsible spending of cheap loans received from governments after they joined the eurozone, so the high borrowing cost, which now markets want from these countries, is a quite logical consequence. According to the Germans, this has teaching and disciplinary effect on the "guilty" countries, so Germany is fundamentally against rescue loans. But once accepted as a necessary evil, the country insisted the rescue loans to be expensive, so that they are not considered by the countries an easy solution to their problems. Although the Greek interest was reduced several times, Germany refused for long the same to be done for Ireland and Portugal, until it finally agreed in July 2011. 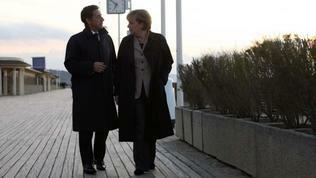 For the same reason Germany was and remains opposed to the idea the ECB to buy government bonds of troubled countries. Although the ECB has started this programme in May 2010 for Greece, and then applied it to other troubled countries in the eurozone, there is an increasing pressure the ECB to intervene more massively on the debt markets. But Germany is concerned that the easing of market pressure will stop the reform process in troubled countries, and separately there is a risk for the ECB itself, because once it started massively buying government debts, it may be difficult for the ECB to stop. A compromise in this respect has been reached, when the eurozone rescue fund was allowed to buy out government debt on secondary markets, but this raised the question of increasing the fund`s size. Germany has been refusing for long even to discuss the issue, namely because of its understanding that countries should not rely on "saving" from their partners, but must "do their homework." And as Angela Merkel has repeatedly stressed, regardless of how much we increase the fund there will always be someone to say this is not enough. Currently, however, the EU has come under intense pressure, including from the IMF and the G20, which have set the increase of the rescue fund as a condition for their participation in solving the debt crisis. The issue was discussed at the European Council meeting on 1 and 2 March and a final decision is expected by the end of month. It is still likely Germany to agree the resources of the temporary fund EFSF and the permanent ESM (the latter to come into force in July) to be combined. But as the authors note, even in Germany there are supporters of the Keynesian alternative, that find allies in prominent American and British economists such as Paul Krugman and Martin Wolf - both avowed critics of the official German position. In general, the new Keynesians argue the opposite of what was described above and at this stage they do not have so much influence, except partly in the left political spectrum. Even the Social Democrats, however, albeit willing to make some concessions for the sake of solidarity, in many ways remain faithful to the German ordoliberal tradition - for instance, they are also against the purchase of debt by the ECB. on the main European debates, following the elections in September 2013 and in what direction could it be? According to recent political surveys, cited by Der Spiegel magazine, Merkel's CDU and its sister Christian Social Union enjoy support from 38% of Germans. The reason is precisely the approval for the course to strict budgetary discipline, both at home and in Europe. And this course will not change even if the Social Democrats or the Greens come to power. It is possible in this case a change to occur in the German position on some European issues, but rather it will be about nuances rather than about radical changes, the authors state. They recommend Germany`s European partners instead of attacking Berlin on issues, where it surely will not change its position, to exert pressure on topics where some softening is possible. For example, instead of commenting on the German insistence on strict budget discipline, to demand German support for a pan-European growth plan. And instead of criticising Germany's resistance to a wider involvement of the ECB on the bond market, to make constructive proposals for eurobonds that Germany could afford to accept.